Delta Shoal is a very shallow Florida Keys dive site making it much better for Florida Keys snorkeling. However, it does however have some unusual aspects that can make it rather intriguing for a Florida Keys diver. 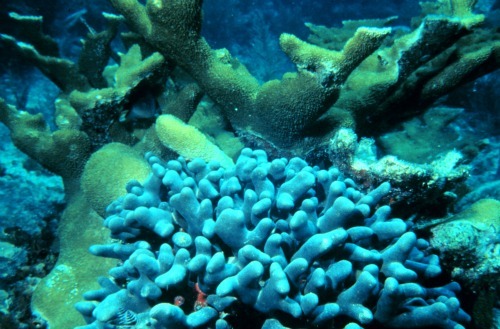 First it's shape is different in that there are numerous long coral fingers stretching out with sandy areas in between. 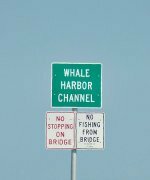 This unusual feature makes Florida Keys snorkeling and diving the reef more interesting as there's numerous nooks and crannies to explore. This Florida Keys dive site is also the location of several important shipwrecks that make it worth a diver's visit. You'll find the North America Shipwreck just north of here and east of Sombrero Light. The North America shipwreck's remnants are partially buried beneath sand and grass. Then there's the infamous slaver, the Ivory Wreck. Even though mostly ballast remains, it's the sense of what this ship carried that makes wreck diving this burial spot a worthy effort. This slaver is located at the west end and is positioned near the barge named after this area. The remains of all three of these easy wreck dives are well worth investigating while you're in Marathon diving. With it's close proximity to Sombrero Reef, it makes this area well positioned for a second Florida dive, and gives you a chance to see and touch history. Delta Shoal is a less frequented Florida Keys dive and snorkel site that's well worth visiting, especially if traffic is heavy at Sombrero Reef.